Thanks to a good friend of mine, Orynth, I have been corrupted into being considered a Brony. 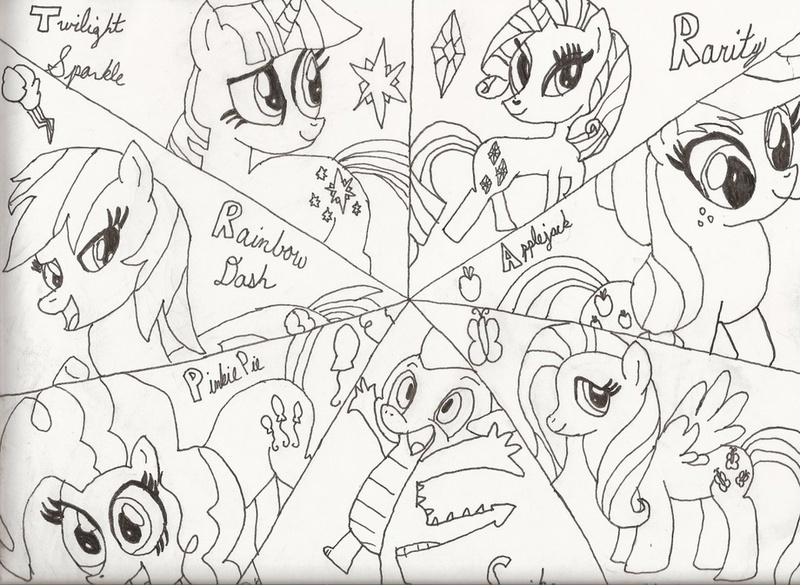 Because of his love of My Little Pony, I decided to draw him the 6 main ponies (Twilight Sparkle, Rarity, Applejack, Fluttershy, Pinkie Pie, and Rainbow Dash) as well as Spike ALL in the same image. Unfortunately, due to scanner issues, the picture got cut off a little on the bottom, but not enough to where you can't see most of it. Tsk. It's "the 6 MANE ponies." Everypony knows that. ... Excuse me, gonna go hang myself. Tsk. It's "the 6 MANE ponies." Everypony knows that. ... Excuse me, gonna go hang myself.